After adopting a law on compensating Jewish religious communities, Lithuania should go further and compensate Holocaust survivors for their private property. Both US officials and the Lithuanian Jewish Community are calling for this. Matulionis was government chancellor in the earlier Government led by Andrius Kubilius when the law creating the Goodwill Foundation was adopted. Under that law the state pays out compensation for Jewish religious community property lost during the war, financing Jewish cultural, religious, educational and other socially useful activities. The Lithuanian Government is obligated to pay 37 million euros in total to the foundation. Matulionis recently spoke with Thomas Yazdgerdi, the US State Department’s special envoy for Holocaust issues, in Vilnius. 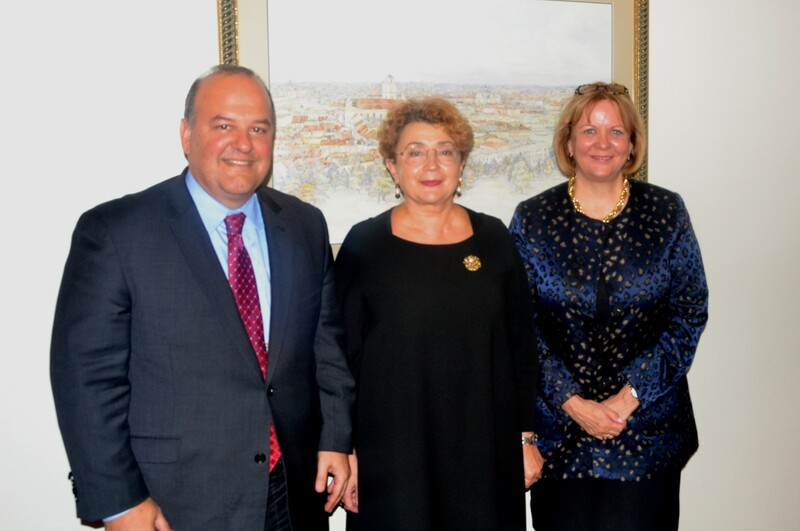 The American diplomat also met MPs and leaders of the Lithuanian Jewish Community. One of the Yazdgerdi’s main topics of discussion was the continuing return of Jewish property. He said Lithuania following the examples of other Central and Eastern European countries should keep moving forward by returning private property to Holocaust survivors and their descendants or by paying out compensation. Matulionis said no concrete measures or numbers were discussed and they simply considered the idea itself. The prime minister’s advisor said they discussed compensating a portion of property values which he said was more of a symbolic gesture. In any event he cautioned only survivors or descendants who were Lithuanian citizens would be eligible to apply for compensation, without regard to whether they live in Lithuania or Israel or South Africa. LJC chairwoman Faina Kukliansky told Lietuvos rytas the main problem and obstacle to attempting to complete restitution of Jewish property is the Lithuanian legal situation. Under the existing order only those Jews or descendants who had Lithuanian citizenship before 2001 may make claims for property formerly held, even if they lived, for example, in Israel. Meanwhile laws in force set a certain deadline for everyone whose Lithuanian citizenship was restored for returning property or applying for compensation. But not everyone has done so, there are many Jews who left Lithuania during the war or during the Soviet era who have not had their citizenship restored, or didn’t apply for compensation in time, or simply didn’t want to. And in 2002 a new law for implementing the Lithuanian law on citizenship came into effect under which Jews who left Lithuania during World War II or after and arrived in their “ethnic homeland,” meaning Israel, no longer have the right to restoration of Lithuanian citizenship. Later, arguments over dual citizenship and restoration of Lithuanian citizenship arose, disputes which have gone all the way to the Constitutional Court. Currently some Jews with Lithuanian roots living in South Africa, Israel and the United States are making use of amendments to the law on citizenship adopted last year allowing those who left Lithuania during the period between the two world wars and right before World War II to have their citizenship restored. Kukliansky cautions those Jews who didn’t have Lithuanian citizenship and lost property during the Holocaust remain excluded. LJC chairwoman Kukliansky says a solution to this situation is to amend laws so that non-citizens could apply for property restitution and compensation. “Even if an individual is successful in all citizenship restoration procedures, that doesn’t necessarily mean he will get his property back after another long process. At the same time many people, including me, don’t understand why Jews who want to get back what belonged to them or their families must become Lithuanian citizens. Why are they forced to complete this pre-condition?” Kukliansky wondered. According to current estimates there are about 70,000 Jews in South Africa and 200,000 Jews in Israel with Lithuanian roots. 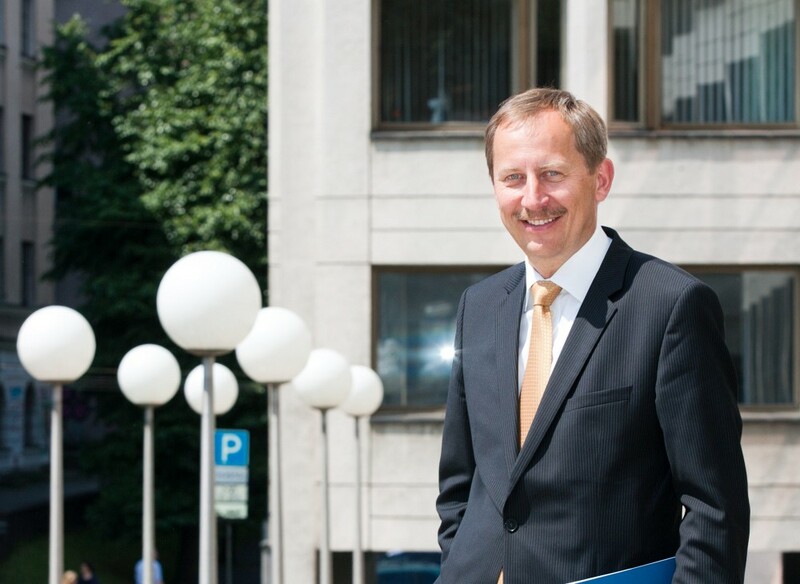 The head of the LJC said most of them don’t have any property claims in Lithuania. The great majority of property held by Lithuanian Jews has no heirs because the owners and their descendants and relatives were exterminated. It’s difficult to forecast when or even whether the Lithuanian government will decide to allow Jews to get back property or compensation. Earlier governments said the economic situation didn’t allow for budget allocations of this sort. Political scientists claim the negative attitude of a portion of Lithuanian society hinders politicians from making such a move. More recently following a scandal over PR specialist Rūta Vanagaitė’s words regarding partisan leader Adolfas Ramanauskas “Vanagas,” Lithuanian prime minister Saulius Skvernelis said Lithuania had already done everything possible to come to terms over the Holocaust. Under a law adopted in 2011 Lithuania will transfer 37 million euros in compensation to the Goodwill Foundation by 2023. The money is to be used for financing Lithuanian Jewish religious, cultural, health-care, athletics, educational and scholarly projects in Lithuania. The Government allocates about 3.6 million euros annually to the Goodwill Foundation. Half that amount is set aside for future needs of the Jewish community. From 2013 to 2016 the Government has paid 14.4 million euros in total to the Goodwill Foundation.